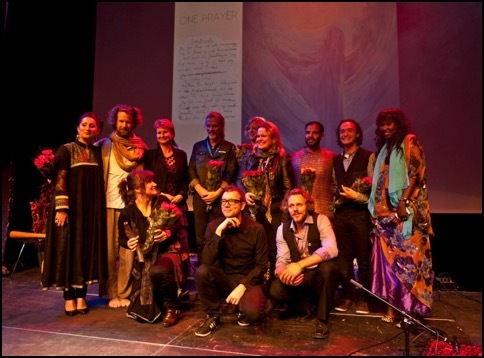 ”One Prayer” is a musical project meant to inspire and strengthen our faith in a common future, across cultures and religions. Prayers from all corners of the world have been joined together in one musical and spiritual statement, “a world prayer” calling for increased human respect, tolerance and co-operation. We believe that the “One Prayer” project can shown us that prayers said with conviction can have a strong effect on the world. This applies to all kinds of prayers, including prayers without words and prayers played on a musical instrument. It is the manner in which a prayer is spoken, or otherwise transmitted, that decides the effect it has on us. It is our hope that the world prayer we now want to give to the world has a positive effect and can guide us all in our future work for world unity, togetherness and peace. The finished composition, made up of the many musical and spiritual prayers donated to the project, will be some 40 minutes long and will be open to the general public all over the world, both as a free download and as a online listening experience, from Oct. 24 onwards. The release date for “One Prayer” was carefully chosen, as it ties in with the UN celebration on the same day. This should give us an extra good opportunity for communicating this important message of spiritual brotherhood and peace. The work will continue and has just been started with this first step.